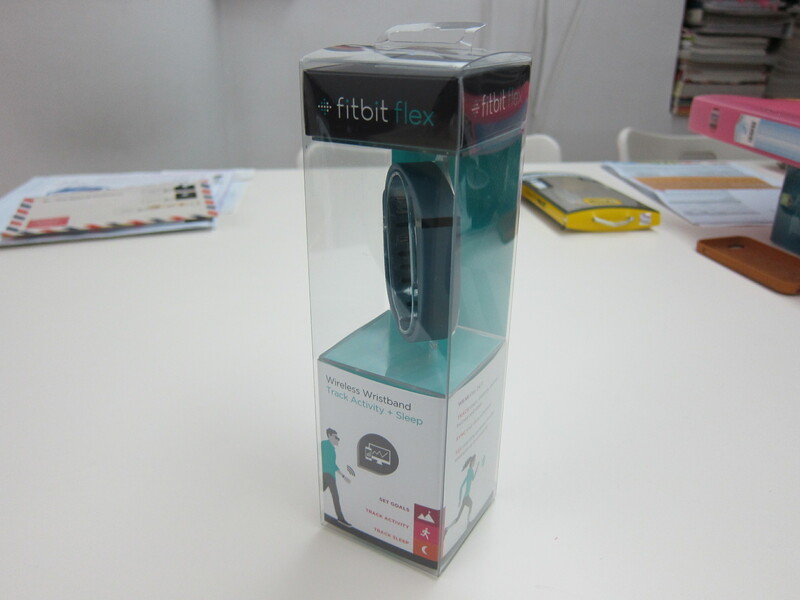 Fitbit Flex is currently retailing for S$129. 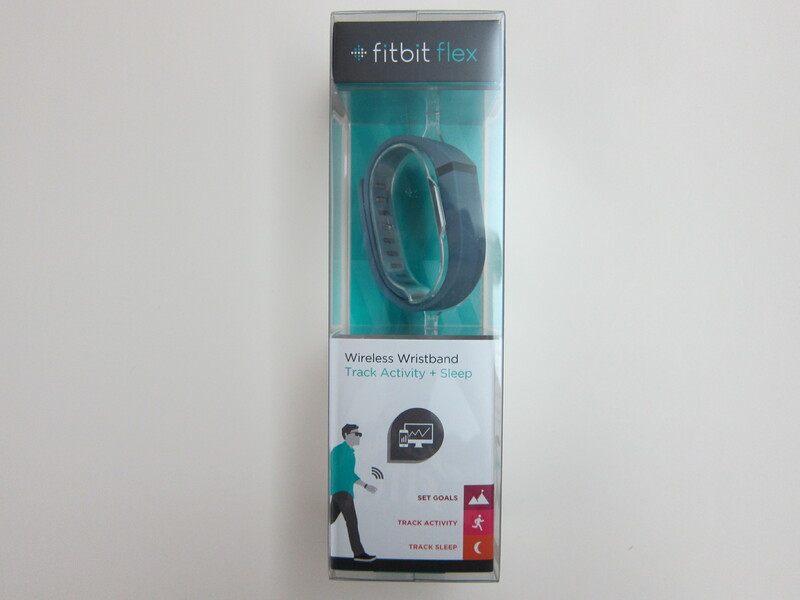 It was launched in Singapore last year on the 29th May 2013. 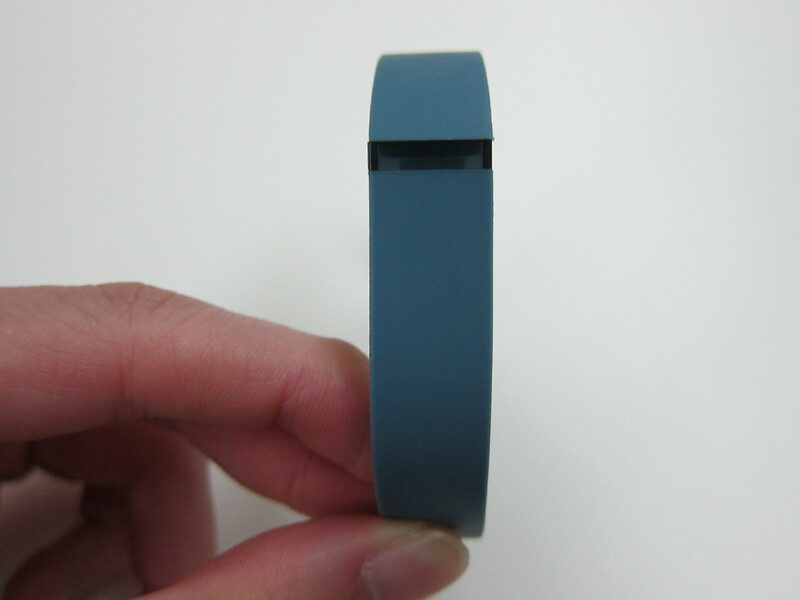 Fitbit Flex is a wireless activity tracker that tracks steps, distance, and calories burned. 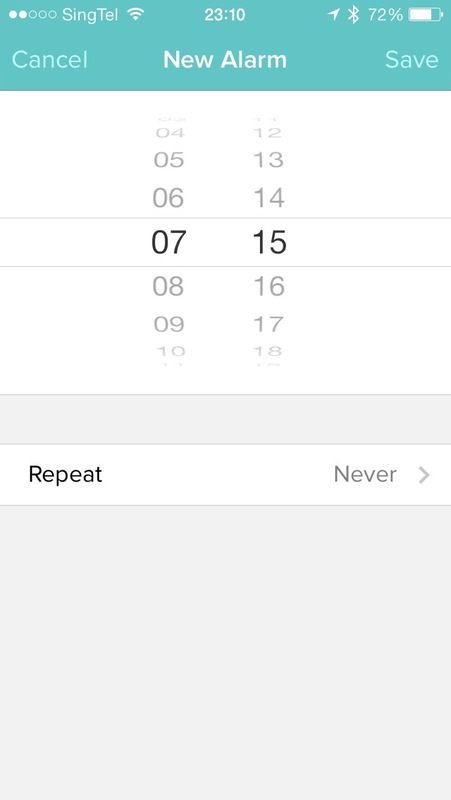 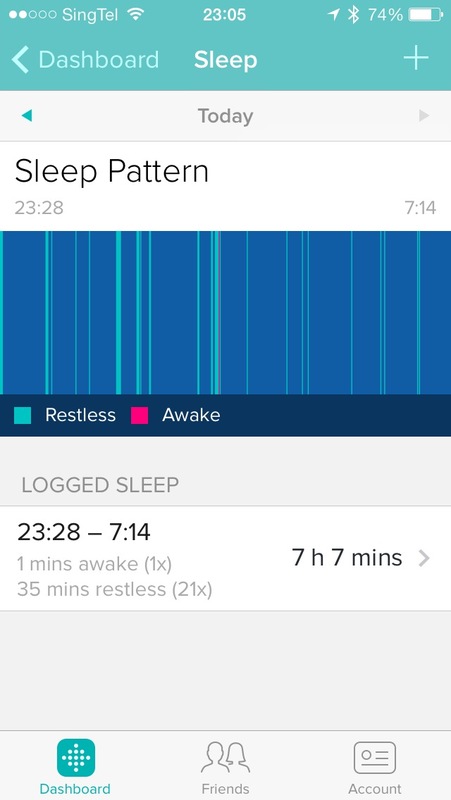 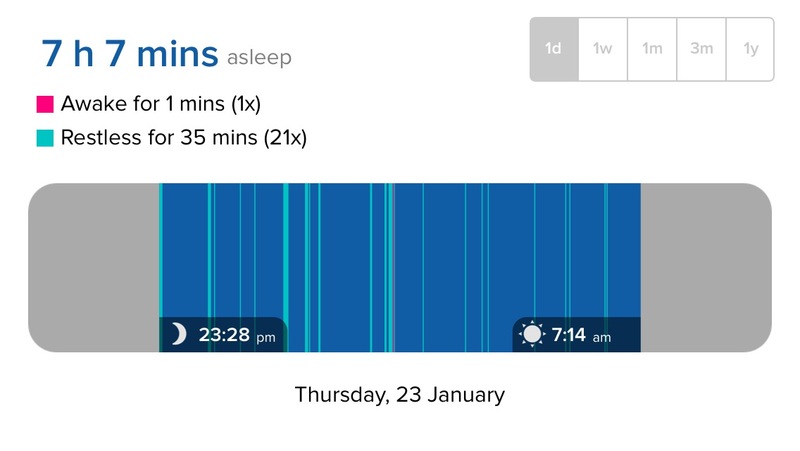 It is also able to track your sleep quality (how long/well you sleep, how many times you wake up). 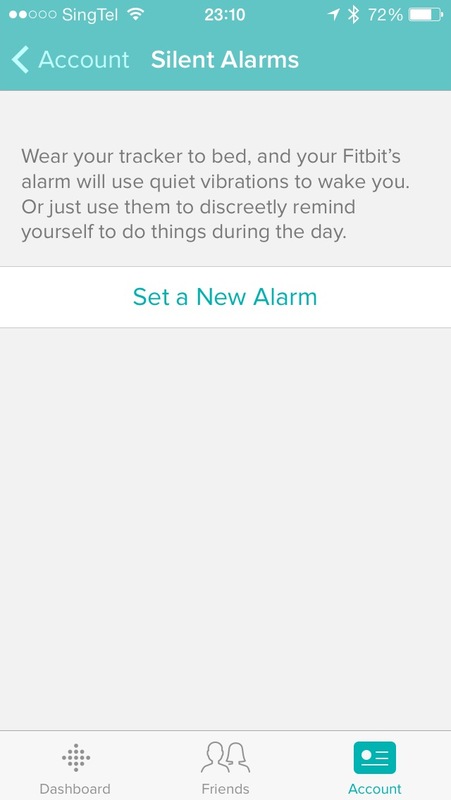 It also has a silent wake alarm that gently vibrates to wake you at your desired time. 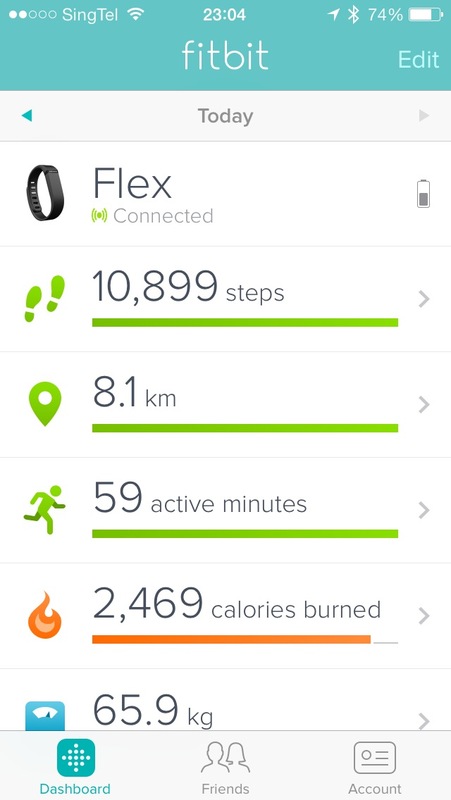 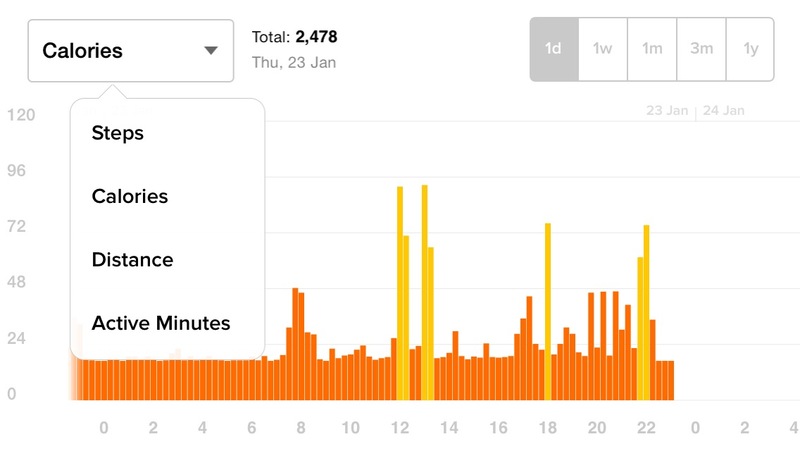 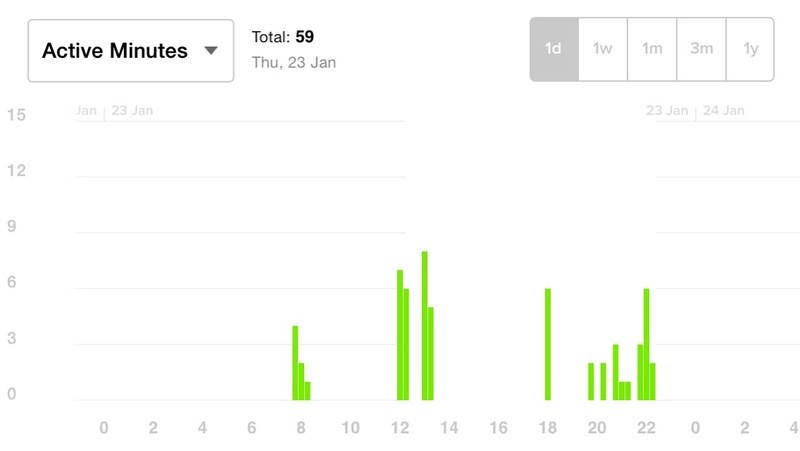 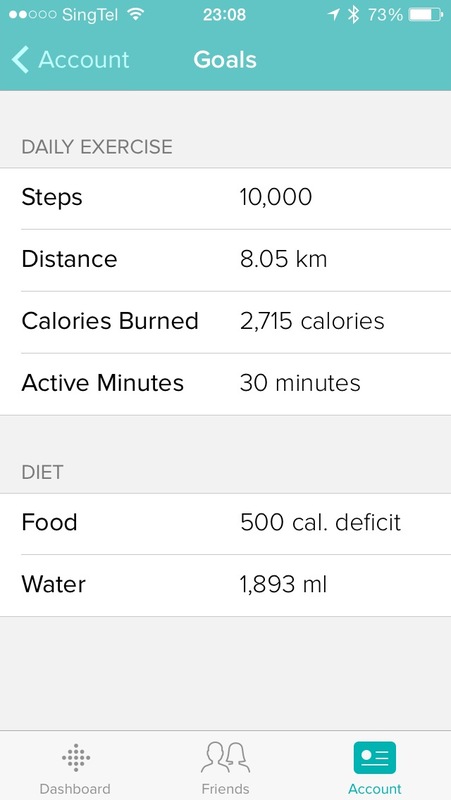 The Fitbit Flex is the third fitness band that I owned. 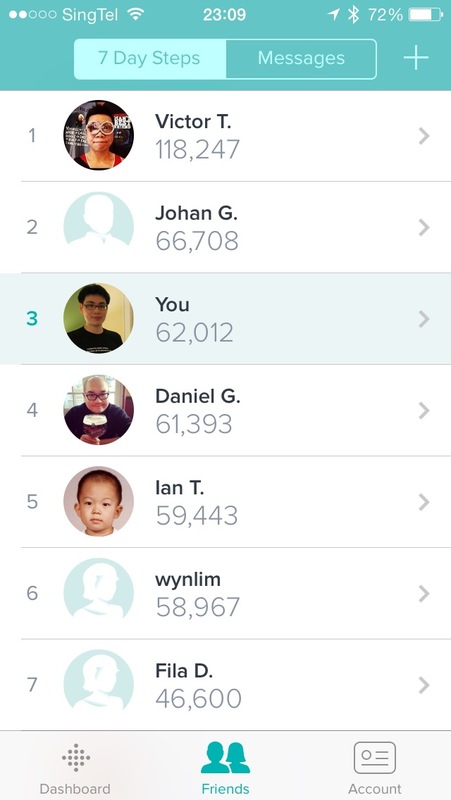 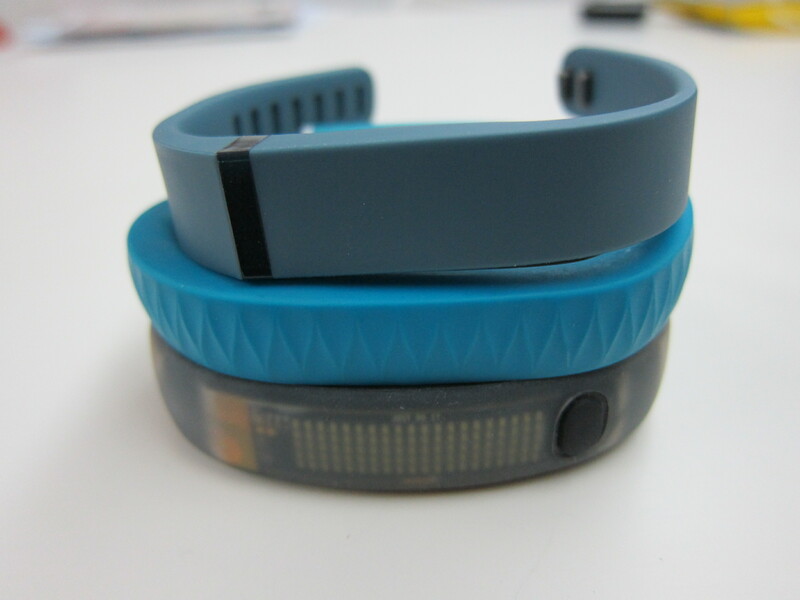 I have the Jawbone UP (S$189.90) and Nike FuelBand (US$149 = S$190) as well. 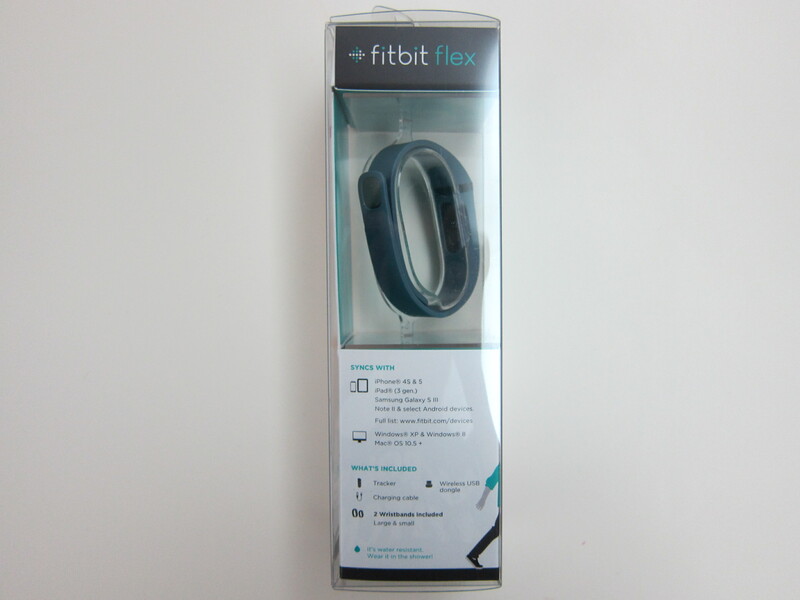 Among the 3 fitness bands, the Fitbit Flex is very similar to Jawbone UP in terms of features and the lack of a display and hence I have switched to using my Fitbit Flex instead of the Jawbone UP. 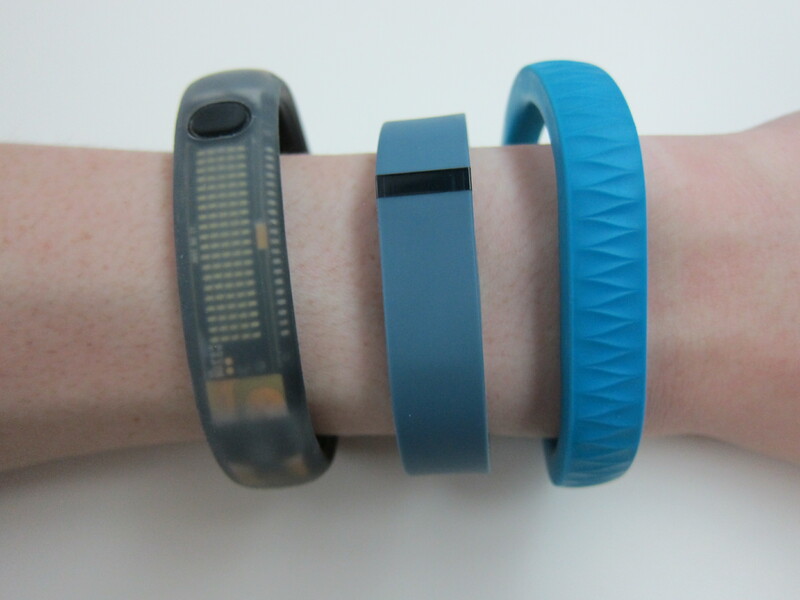 I thought of wearing 3 fitness bands, but it looks way too weird. 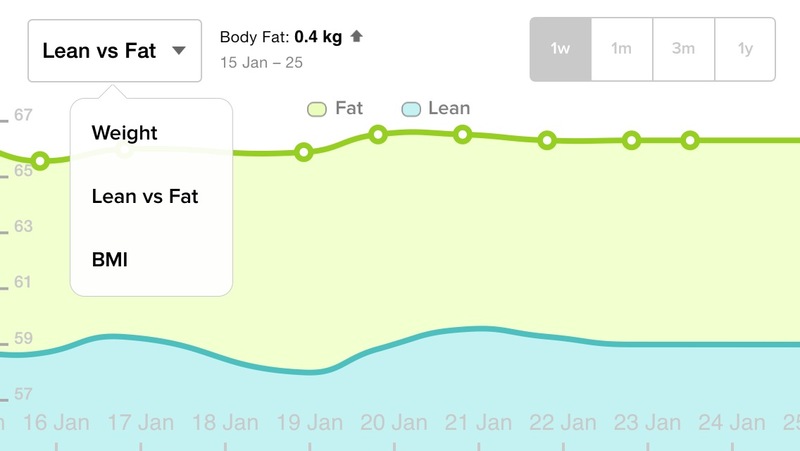 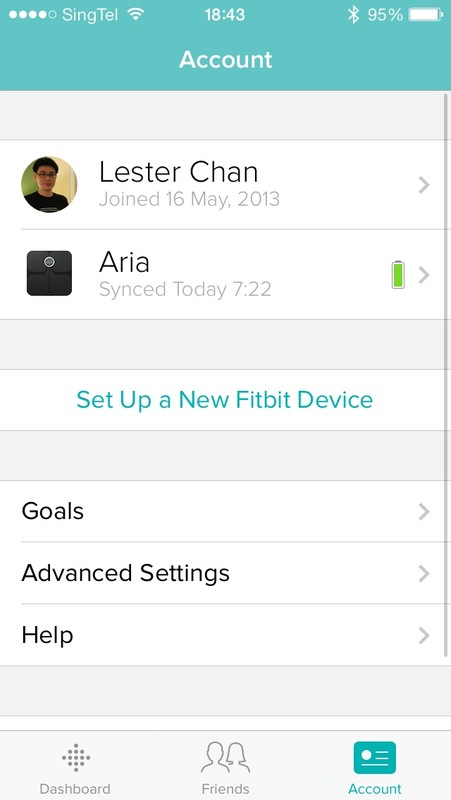 Personally, I prefer the Fitbit Flex instead of the Jawbone UP, partly because I own the Fitbit Aria weighing scale and I want to consolidate my fitness data into a single ecosystem. 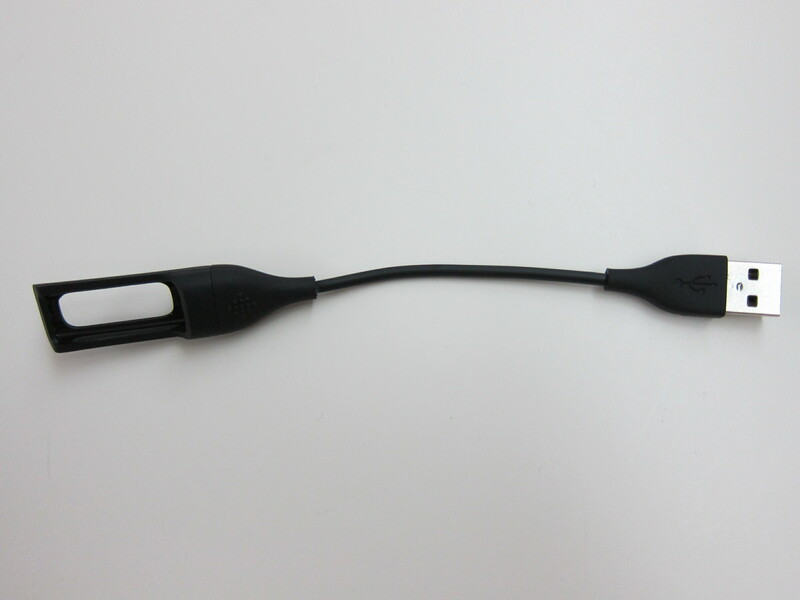 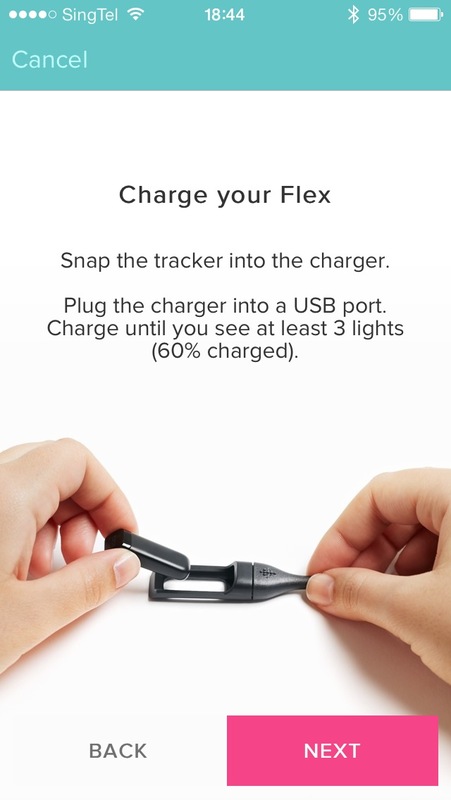 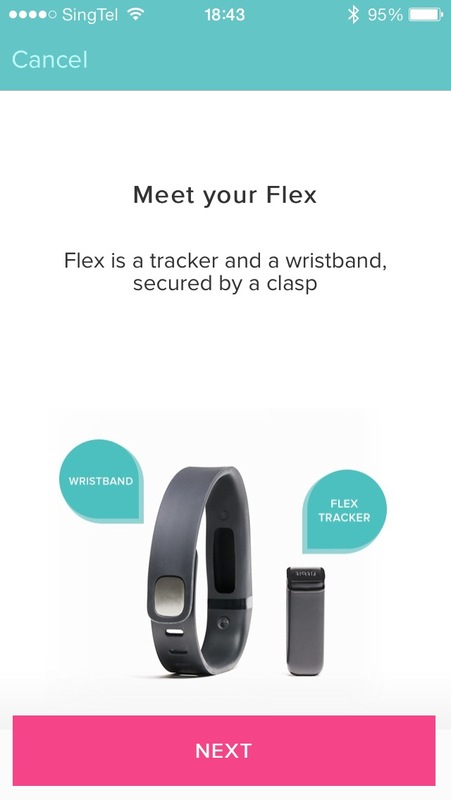 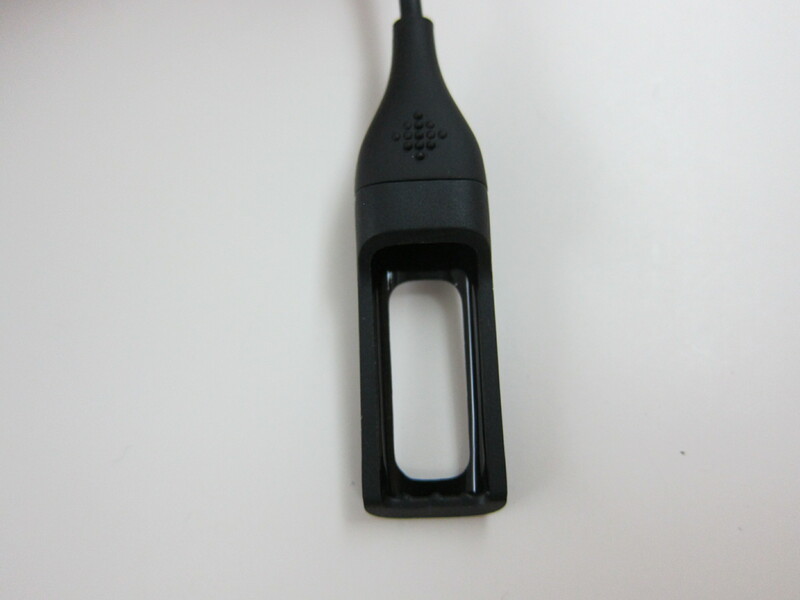 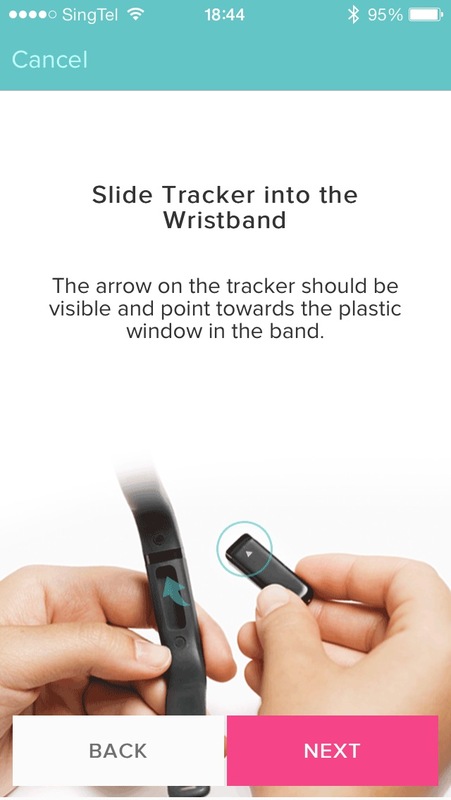 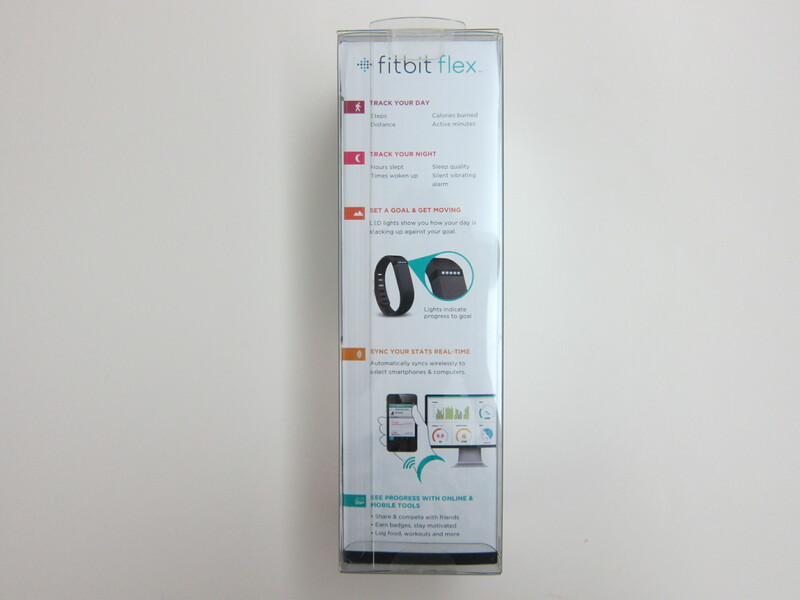 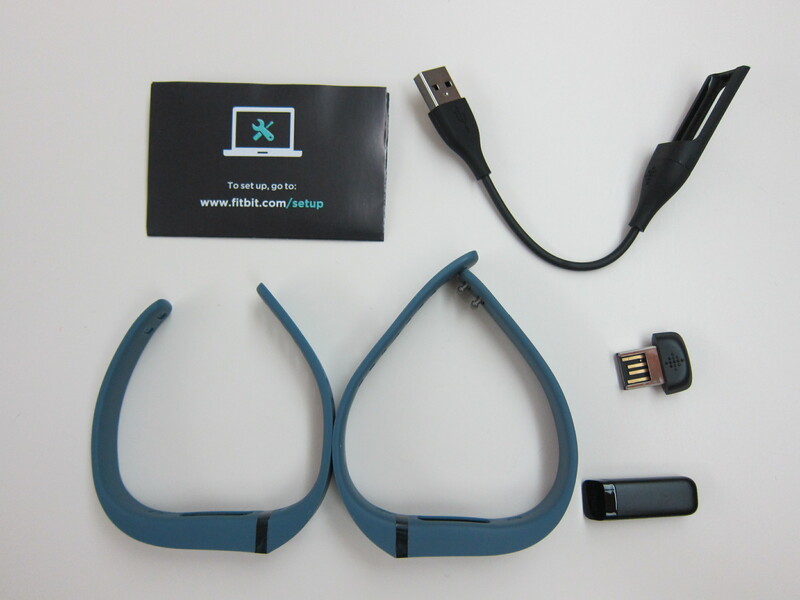 The default packaging includes the Flex tracker, 2 wristbands (small and large), wireless sync dongle and charging cable. 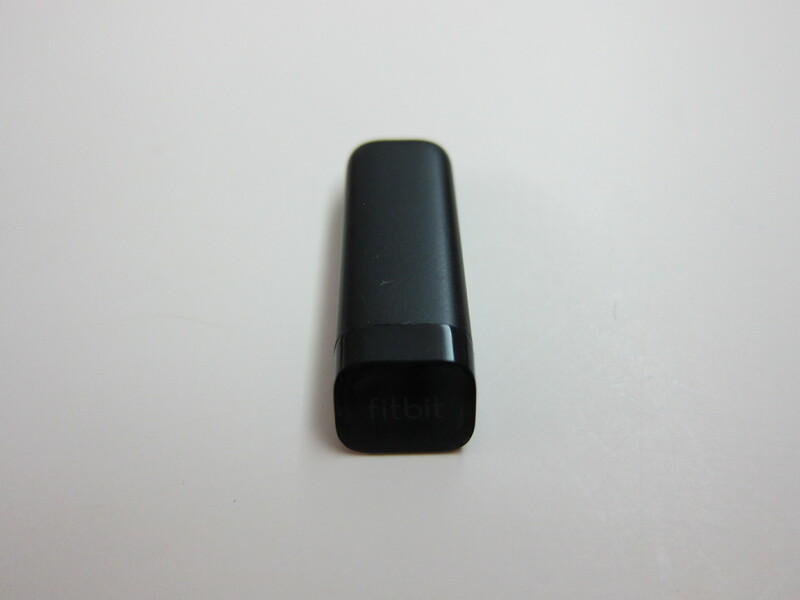 One advantage that the Fitbit Flex has over the Jawbone UP is that it can sync wirelessly via Bluetooth (Bluetooth 4.0) and it saves you the hassle of taking off the band, plugging it to your phone to sync and wearing it back again. 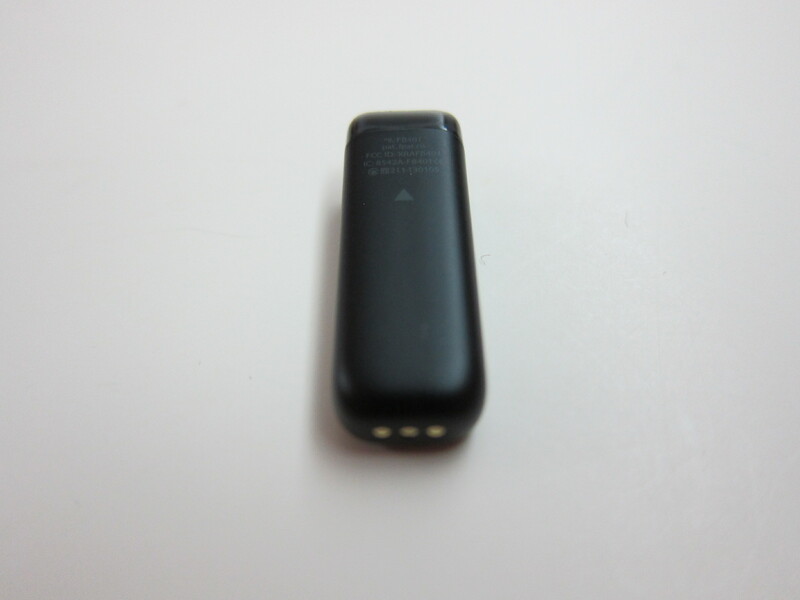 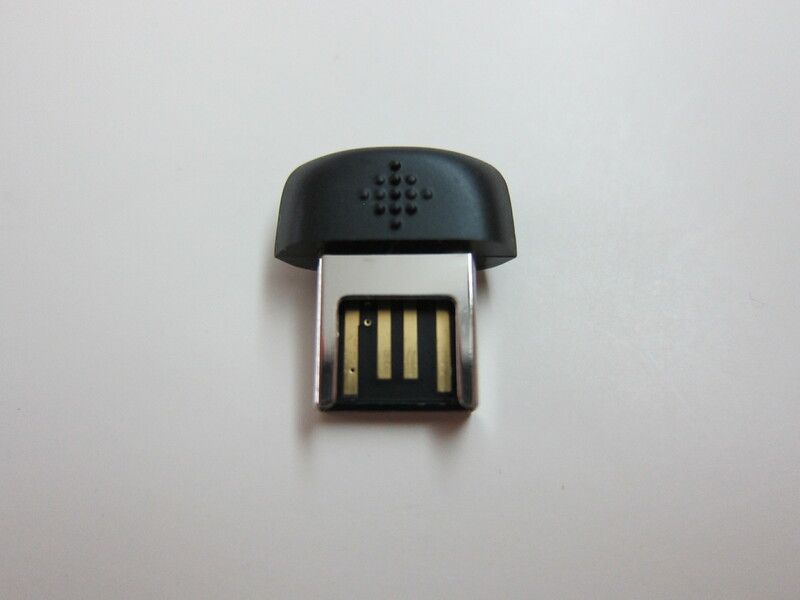 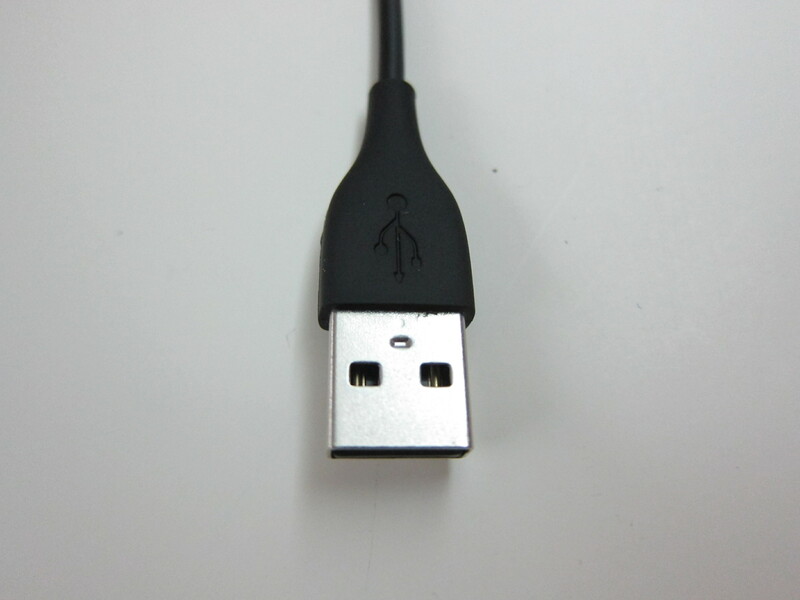 You can also sync wirelessly to your PC/Mac using the wireless sync dongle that is included in the package. 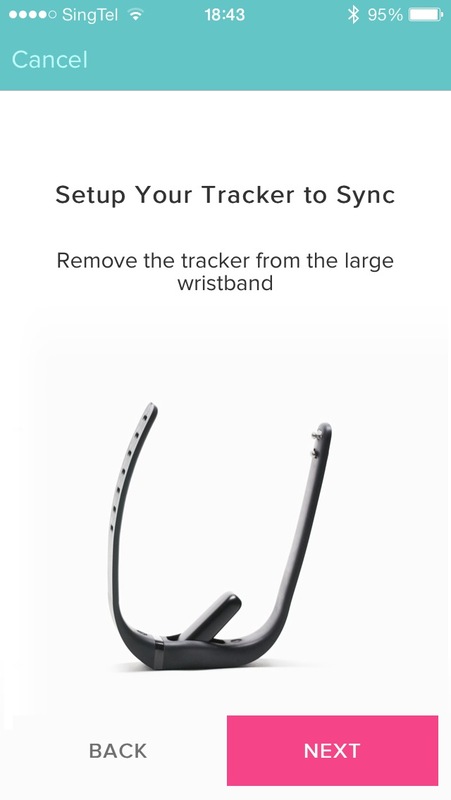 For Jawbone UP, you can only sync via your phone and for Nike FuelBand you can also sync with your PC/Mac using the provided USB cable. 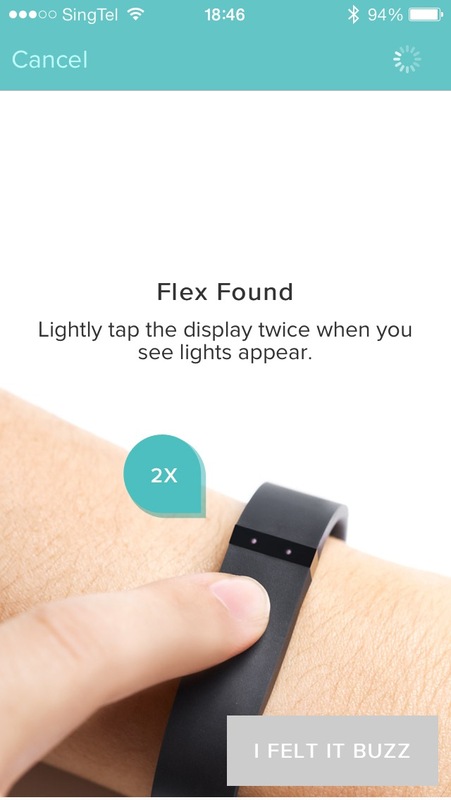 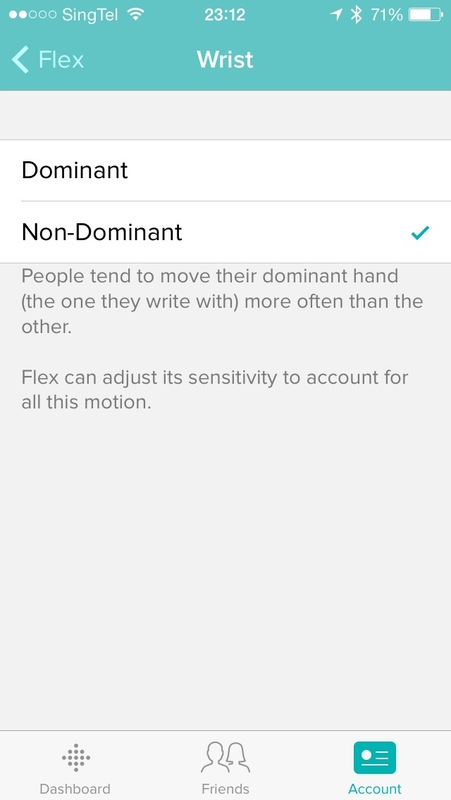 Since the Fitbit Flex doesn’t have any buttons, to activate the sleep tracking mode, you just have to tap on it rapidly for 2 seconds and your Fitbit Flex will vibrate and display two slowly dimming LED indicator lights (first and last LED). 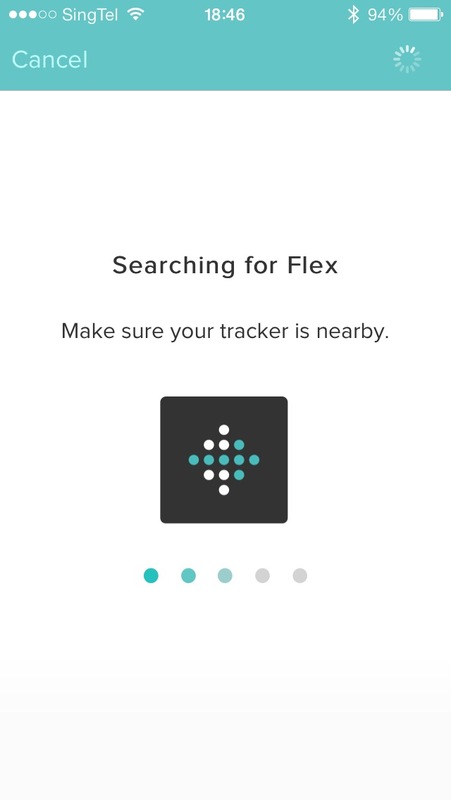 If you want to switch back to the activities tracking mode, you do the same and your Fitbit Flex will vibrate and flash all five LED indicator lights three times and then display a spinning light pattern. 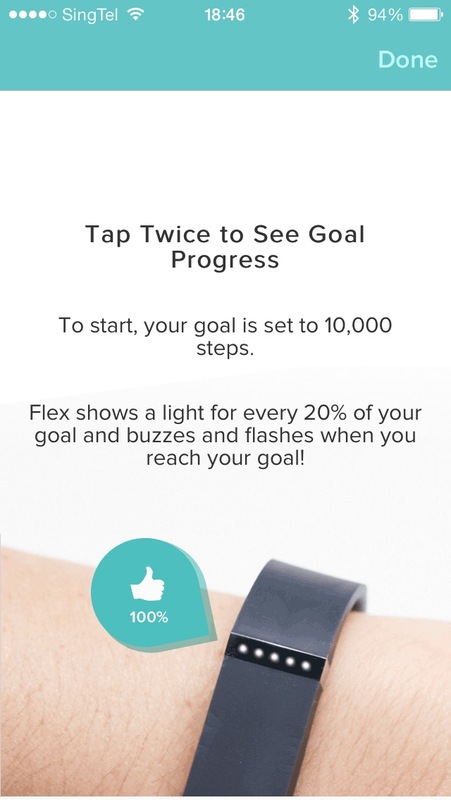 There are five white LED indicator lights on the Fitbit Flex to let you know the process towards your daily goal. 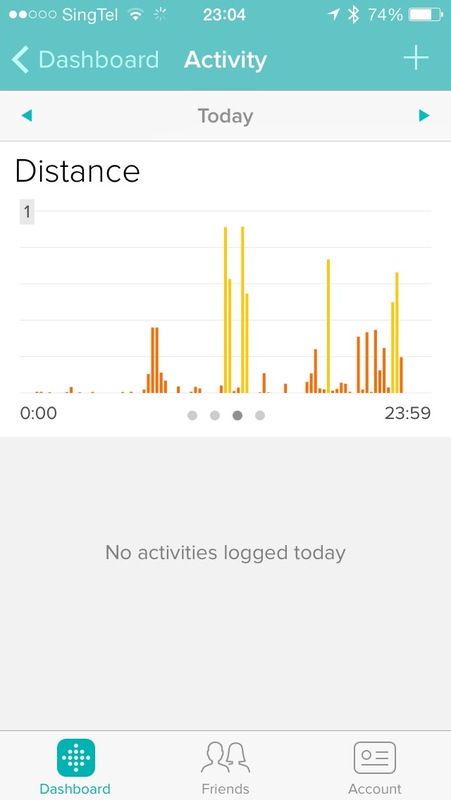 Each light represents 20% of your goal. 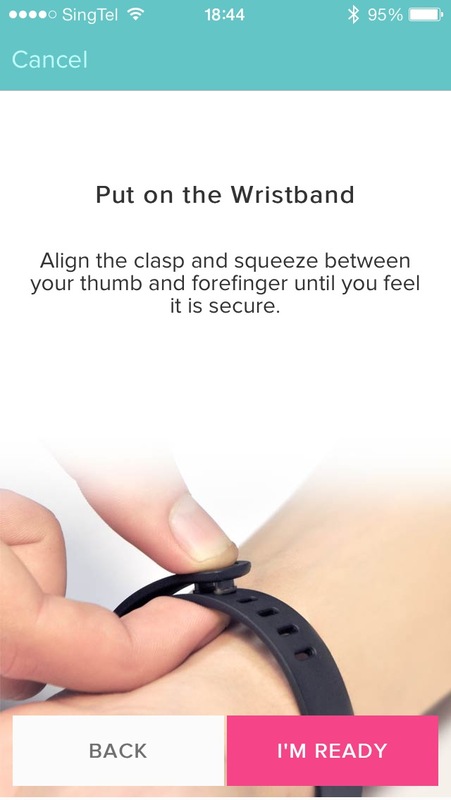 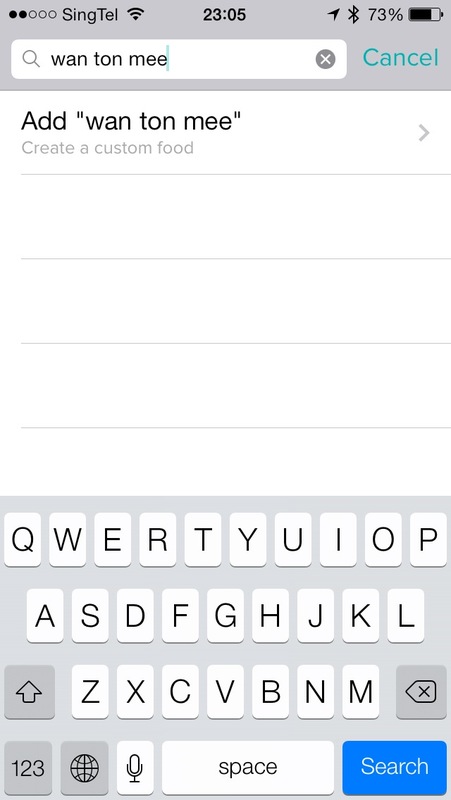 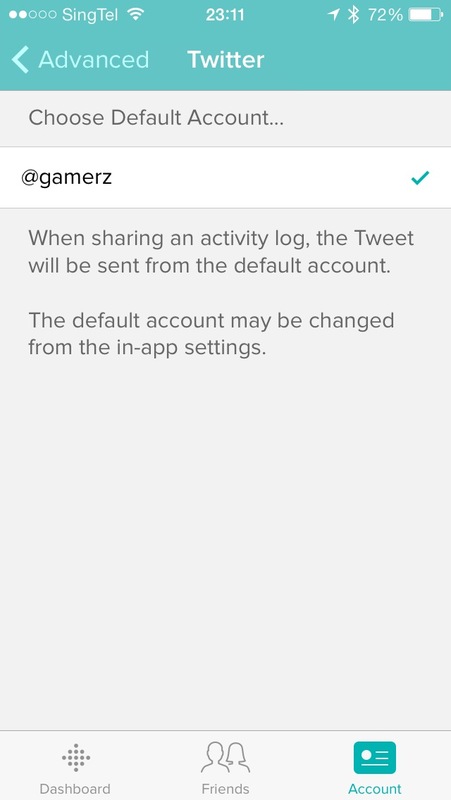 To see the process, just tap twice on it. 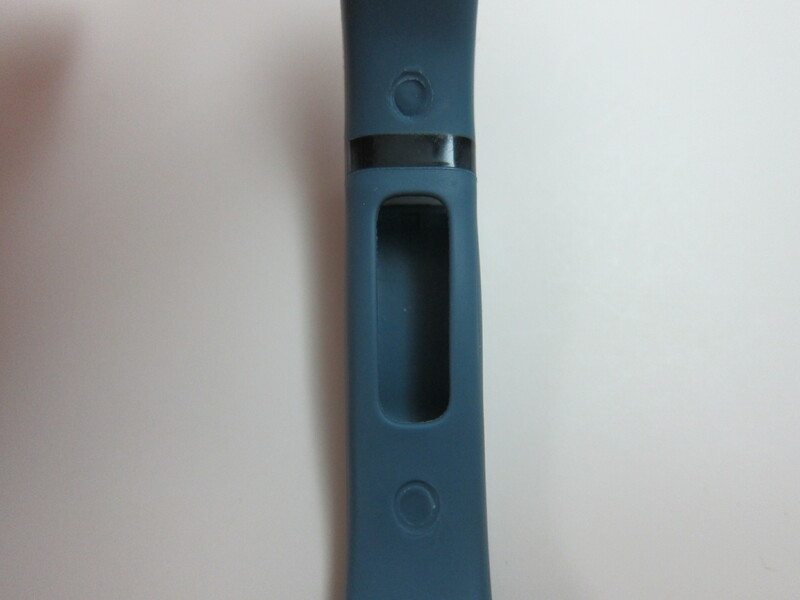 I tried to take a picture of the LED indicator lights but I couldn’t because it goes off very fast. 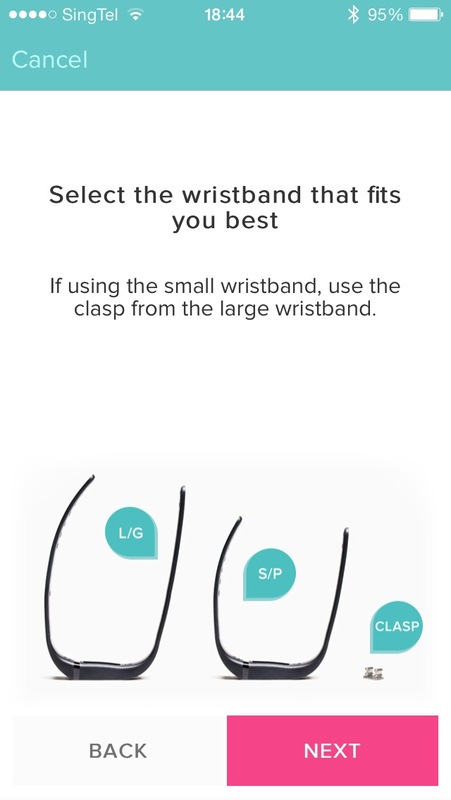 When choosing a Fitbit Flex, you do not need to worry about sizes because the packaging comes with both small and large wristbands with adjustable buckle. 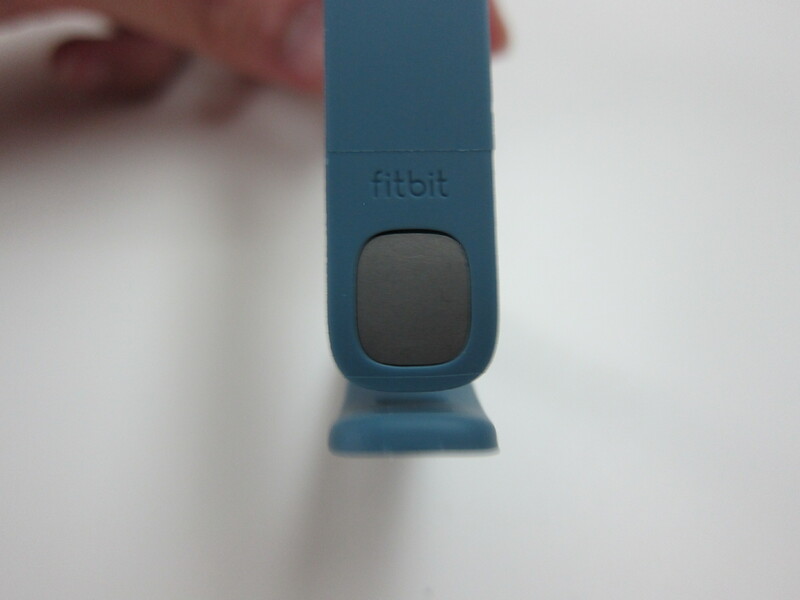 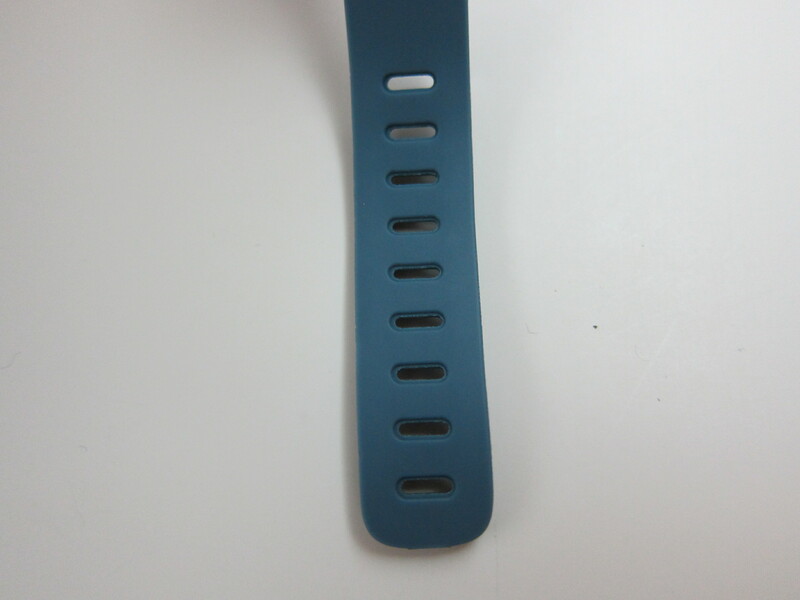 The Fitbit Flex’s wristband is slightly more difficult to wear as compared to the Jawbone UP or Nike FuelBand because of the buckle. 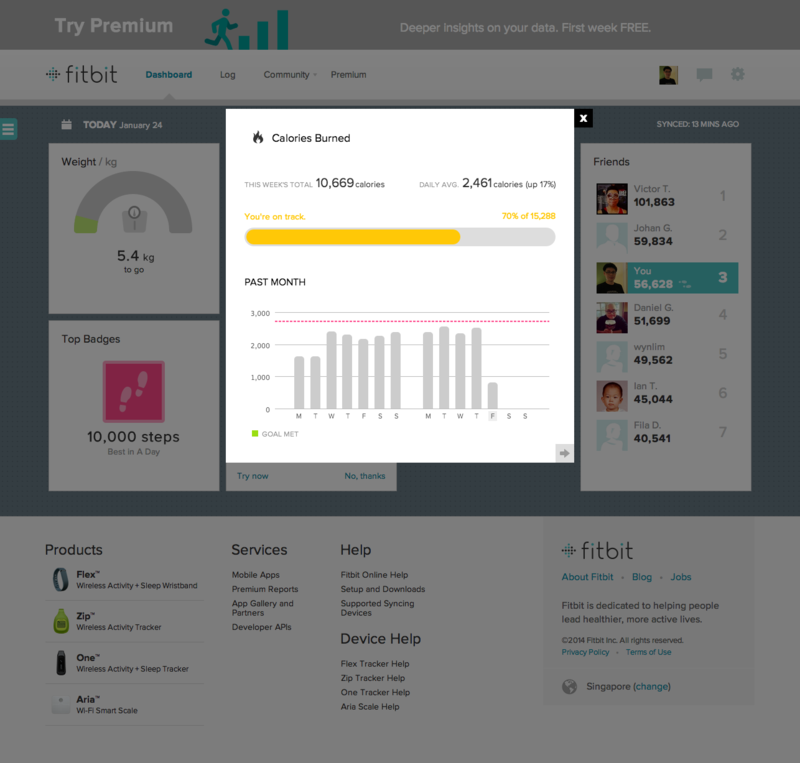 Setting up the Fitbit Flex is pretty straightforward, I got it and and running within 10 minutes! 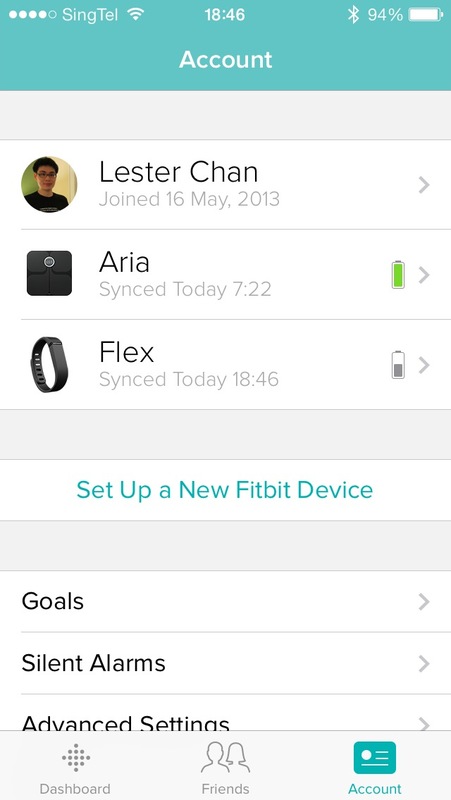 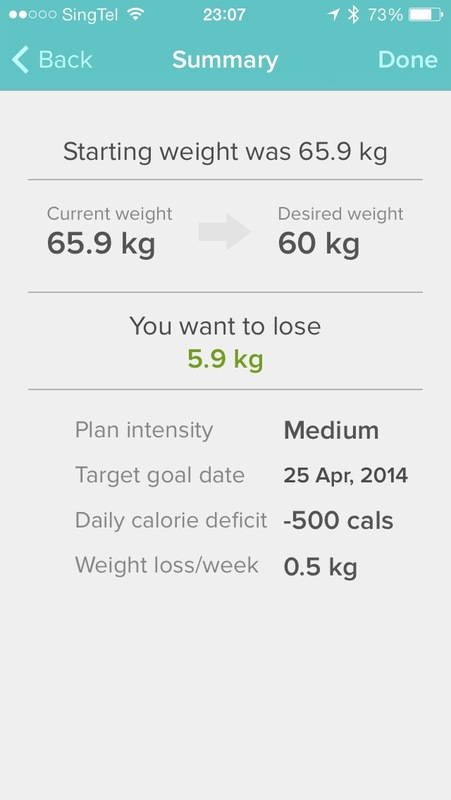 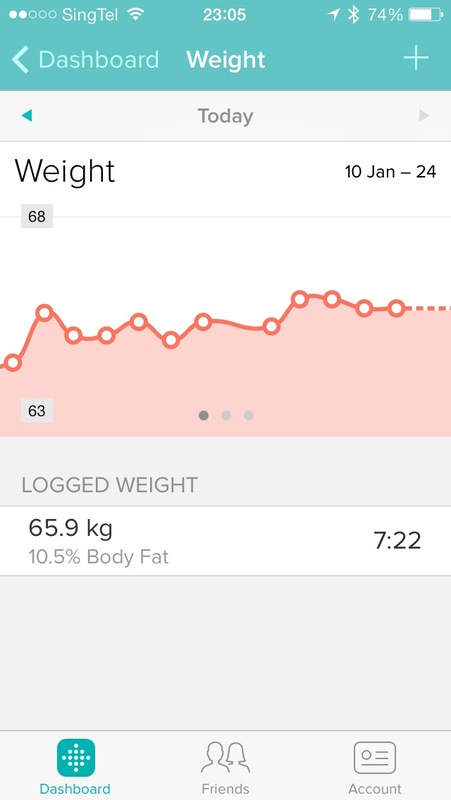 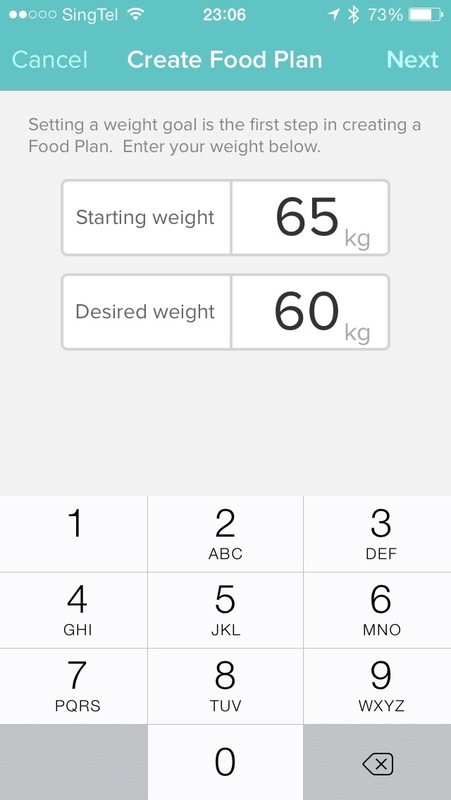 Similar to Jawbone UP, the Fibit app is available on both iOS and Android. 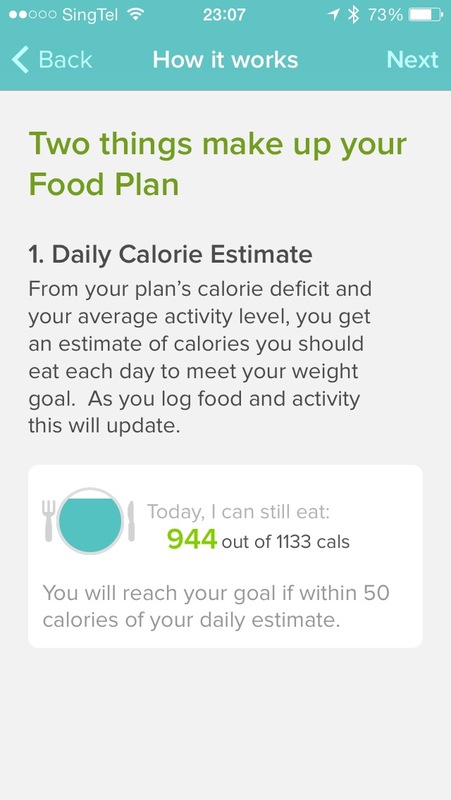 A nice touch by Fitbit that I personally like is the push notification that will be sent to your phone at night telling you how many steps you have left to reach your daily goal. 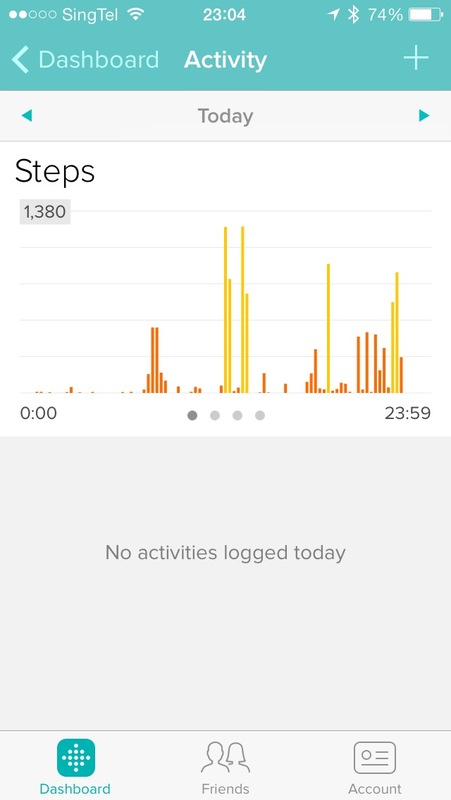 My daily goal is 10,000 steps. 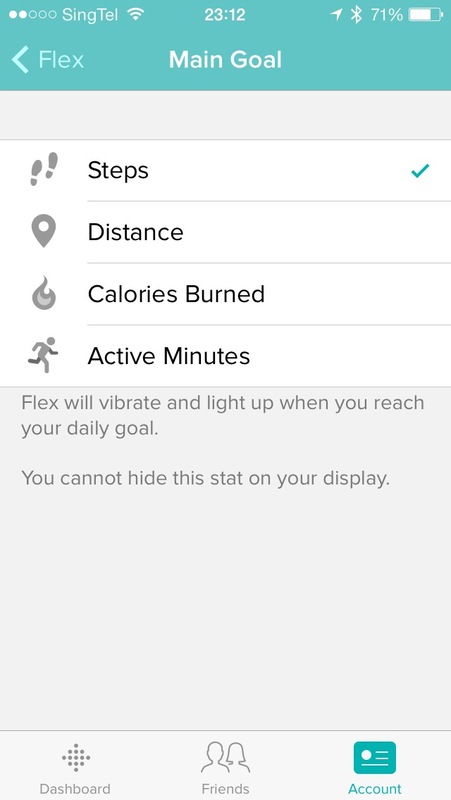 Also once you reached your goal, your Fitbit Flex will vibrate letting you know you have done it! 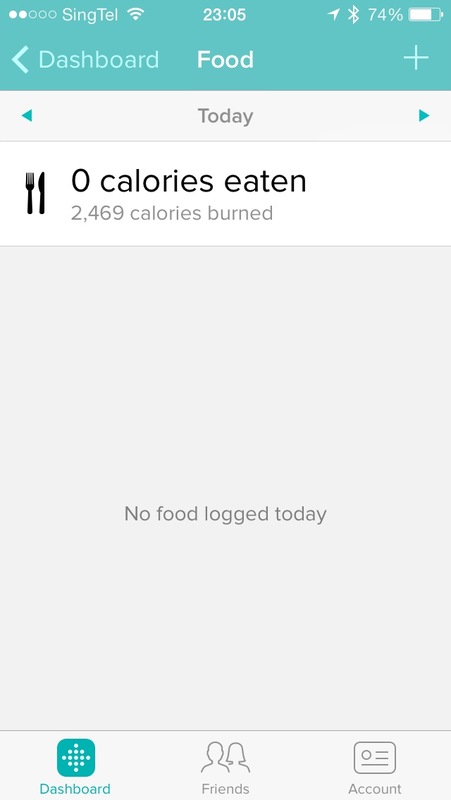 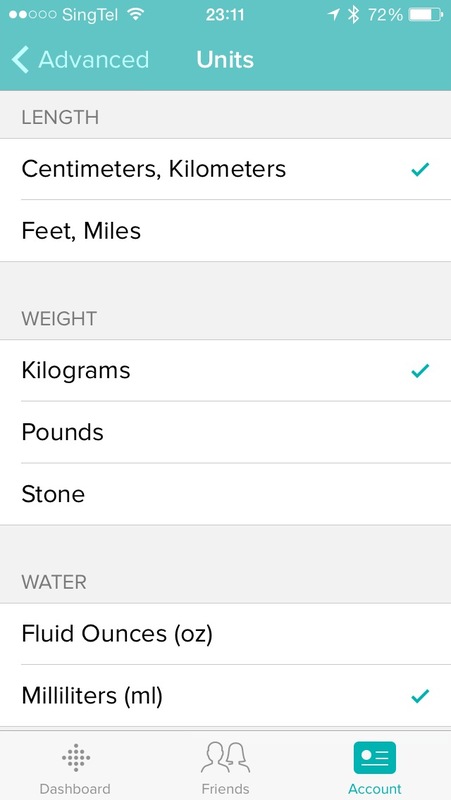 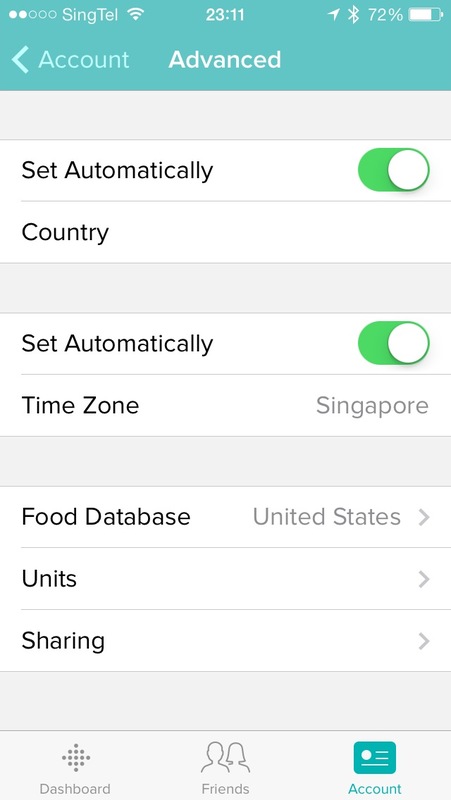 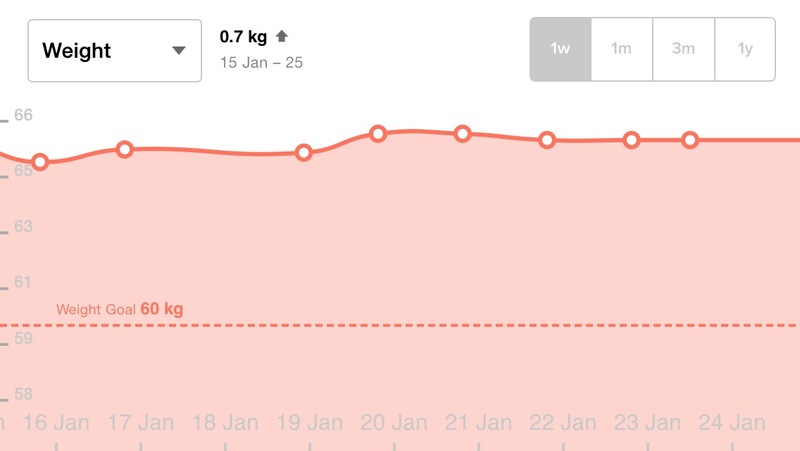 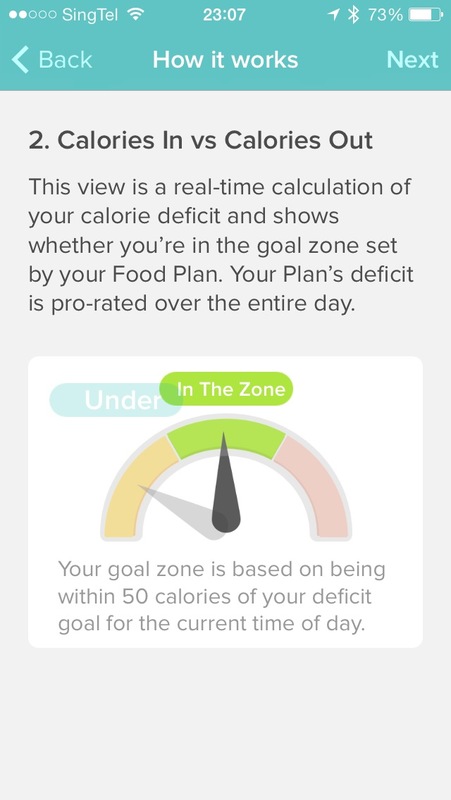 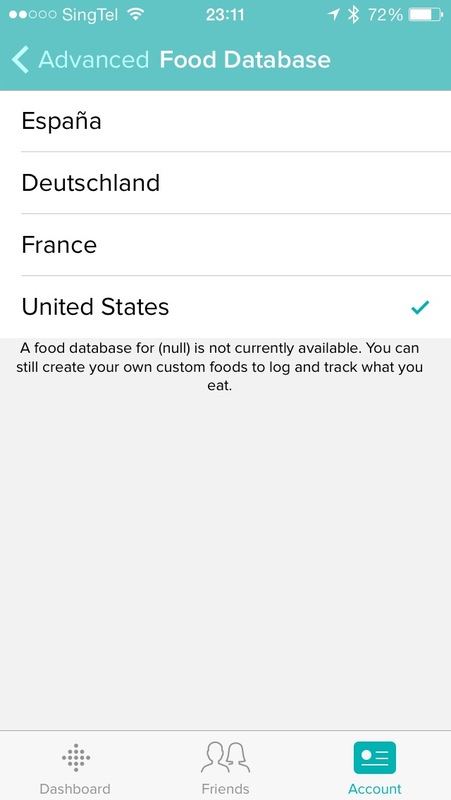 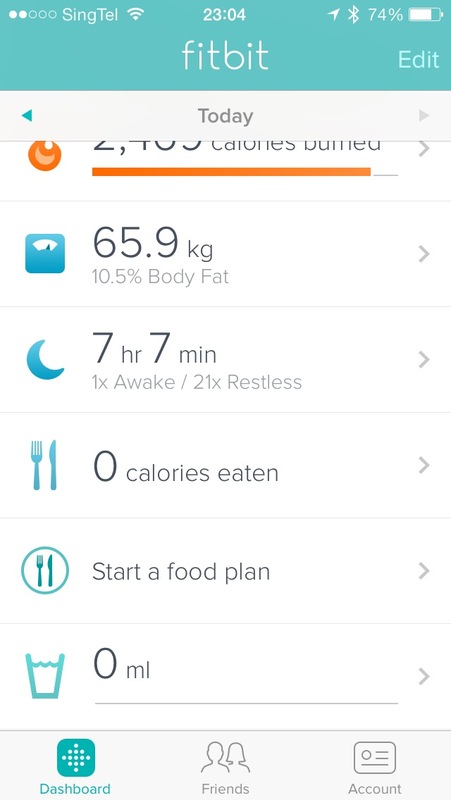 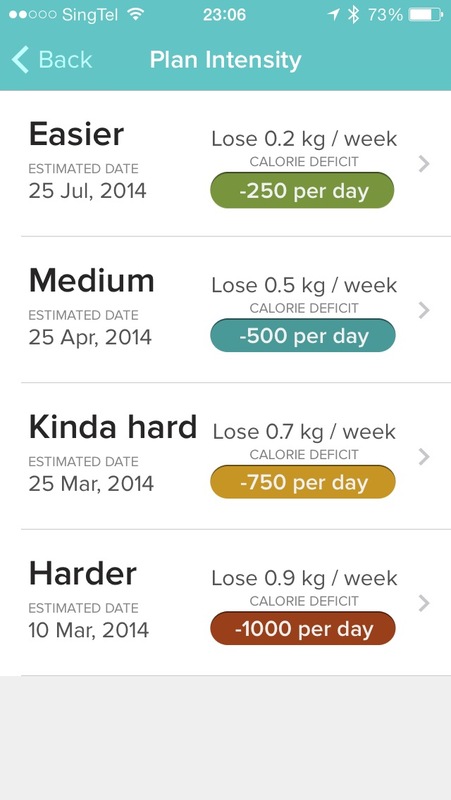 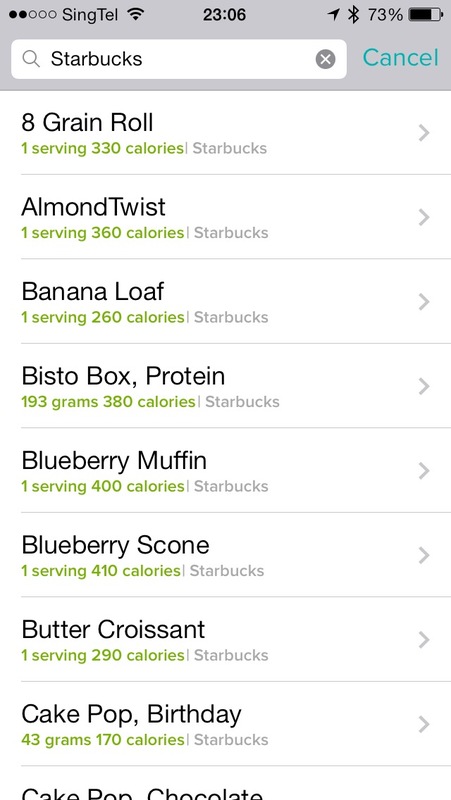 The Fitbit App does include the ability to record our daily food intake but it is kinda useless to us (Singapore) because the food database is limited to the United States. 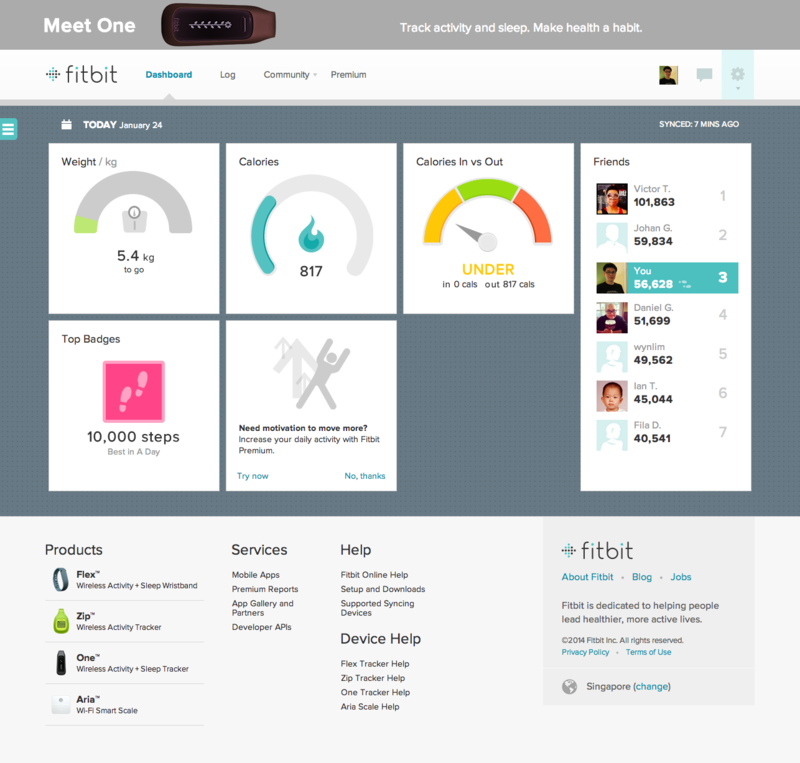 In terms of web interfaces, Nike+ has the best looking web interface (no surprise here). 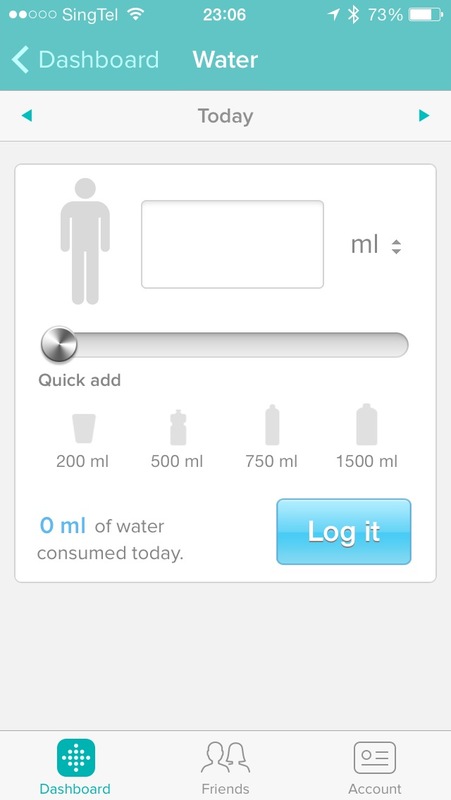 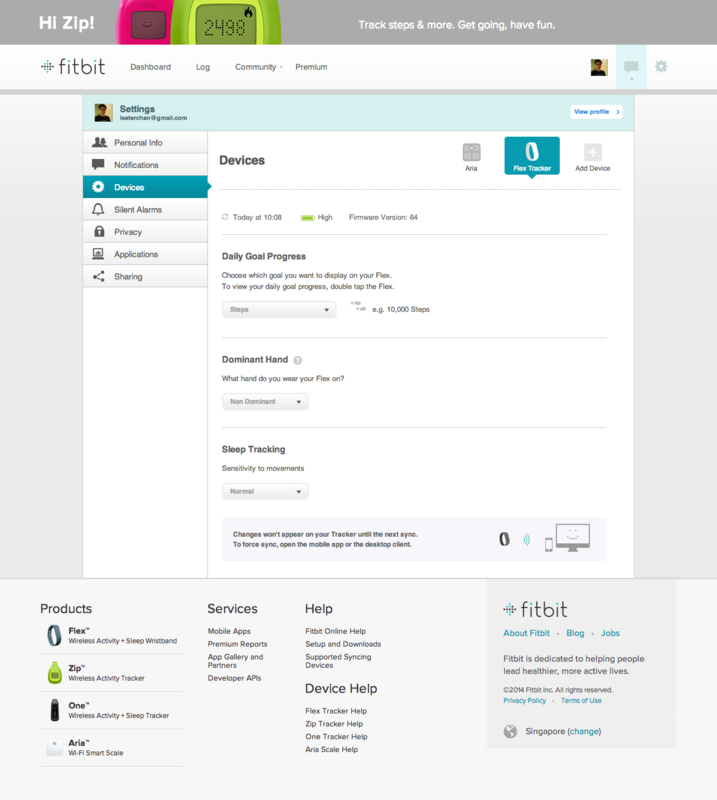 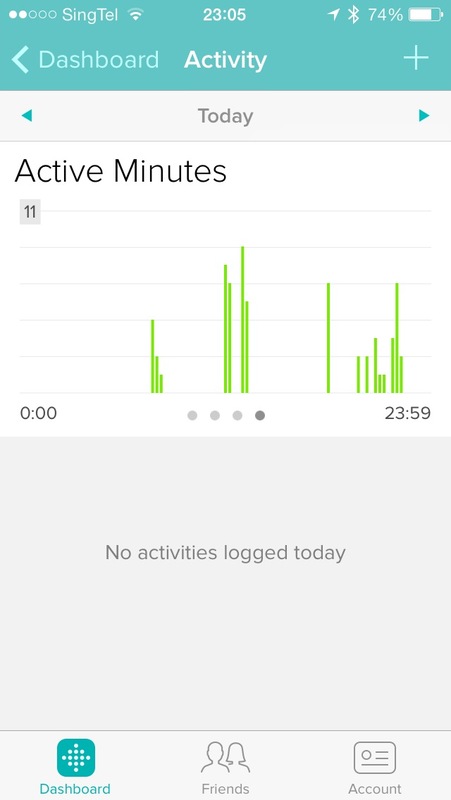 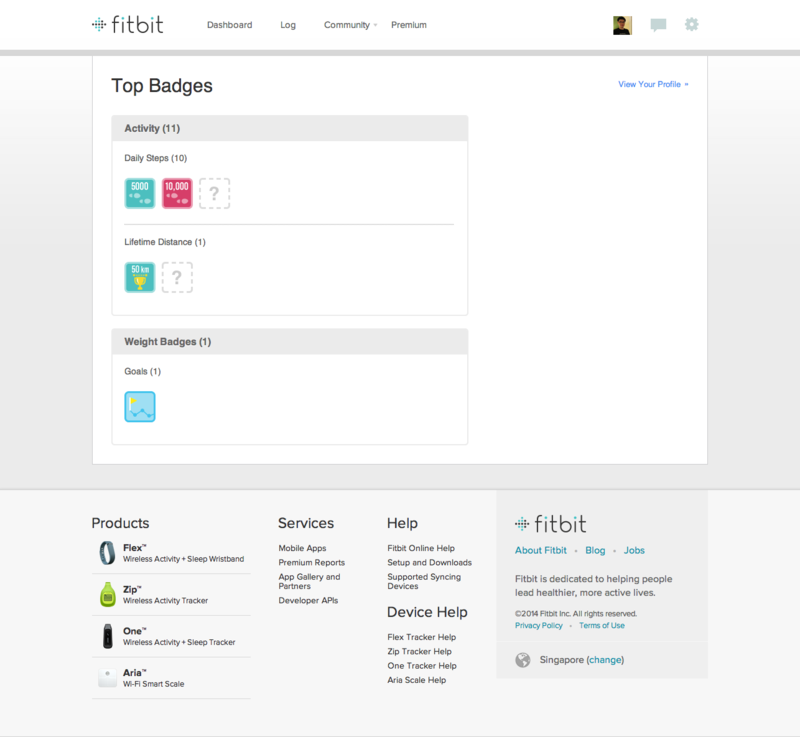 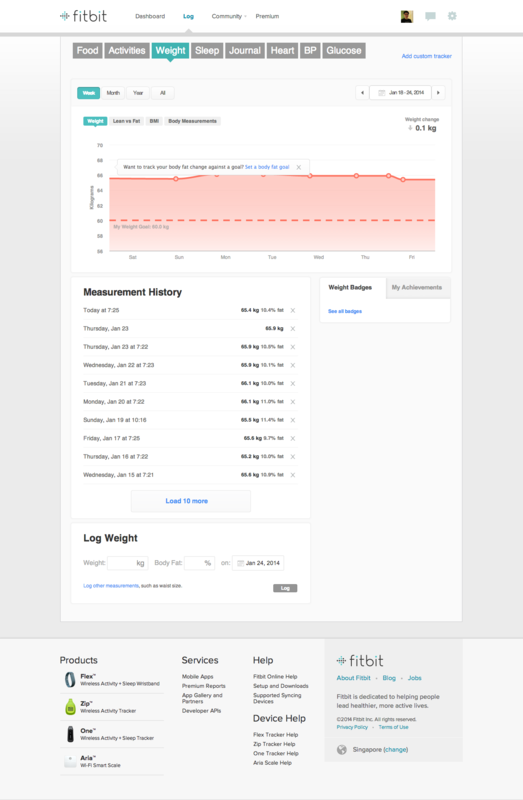 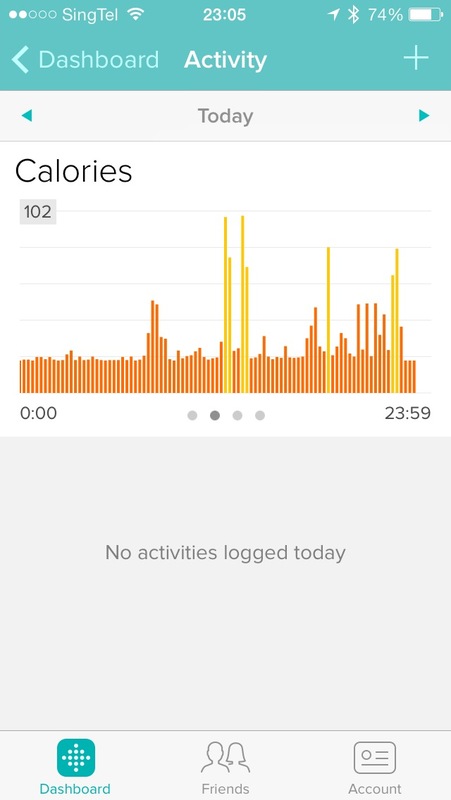 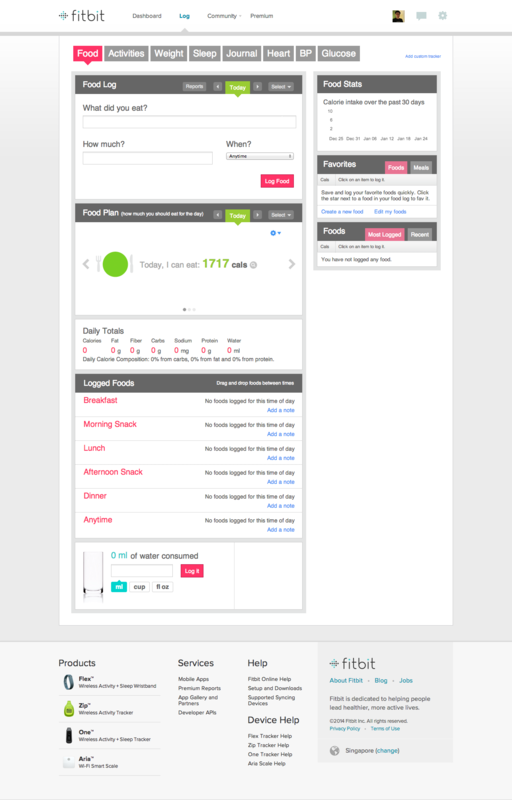 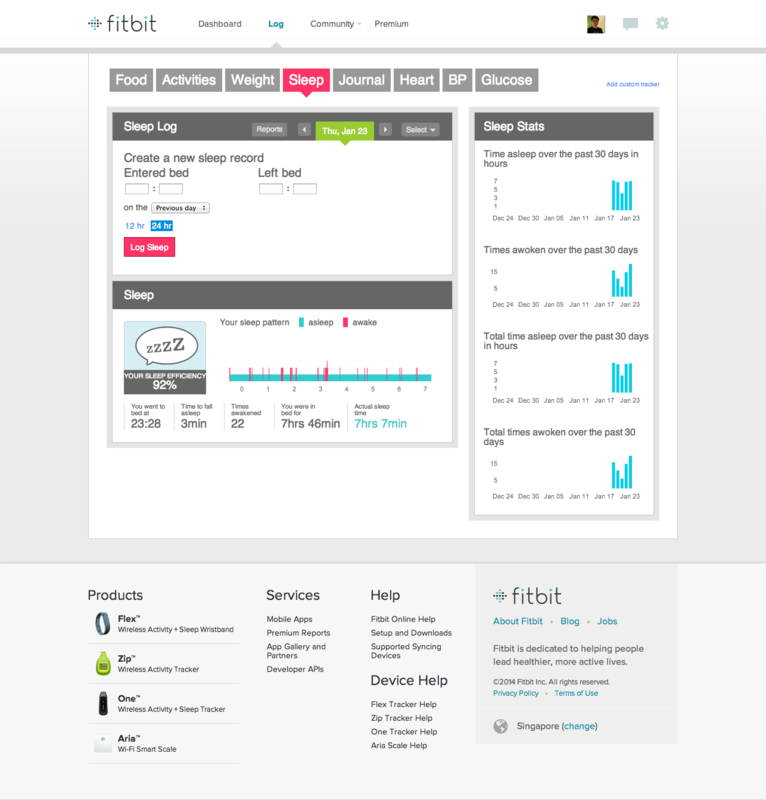 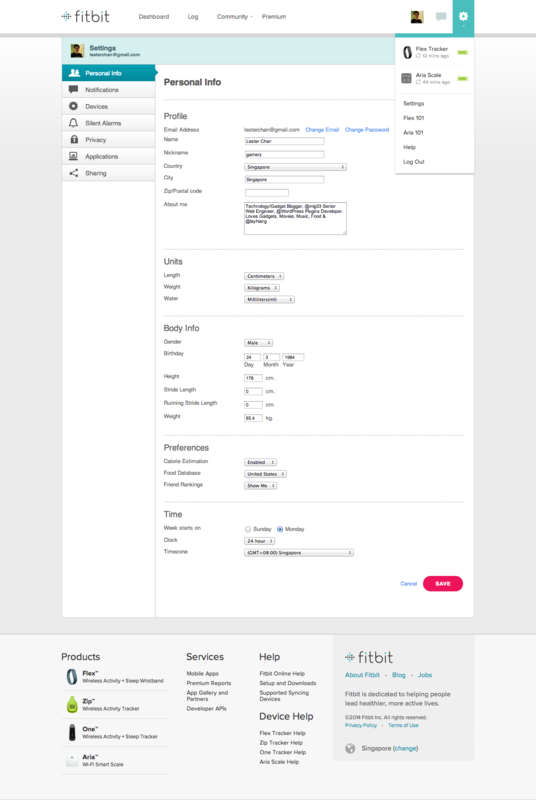 Fitbit has a pretty decent web interface while Jawbone doesn’t even have a web interface for it’s UP. 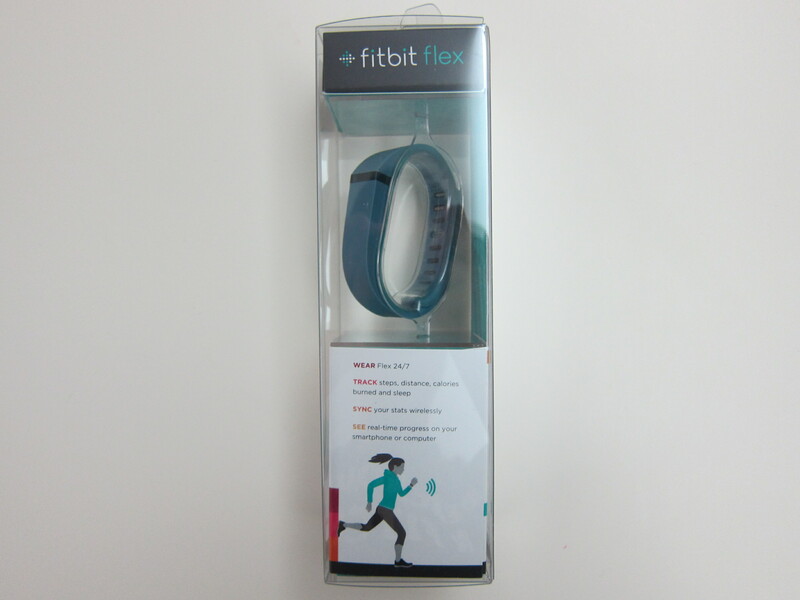 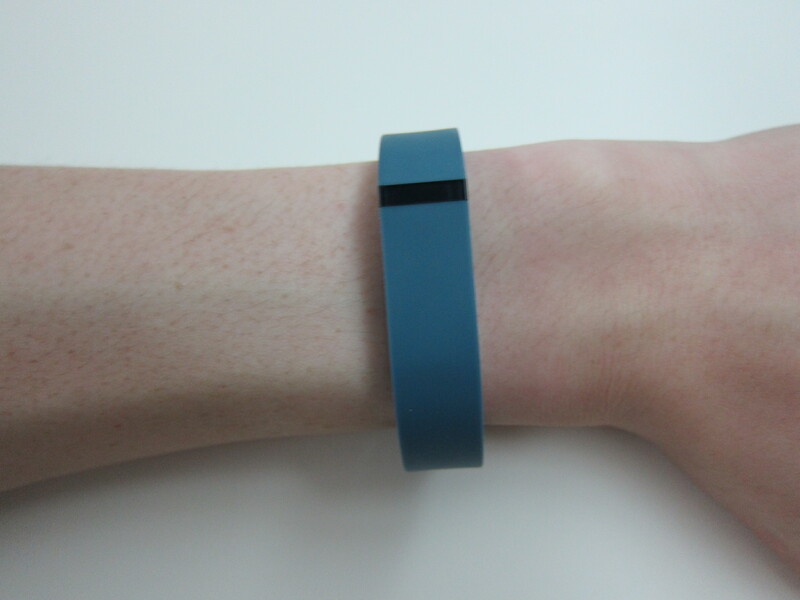 The Fitbit Flex is extremely lightweight (13g) when you compared it with Jawbone UP (23g) or the Nike FuelBand (32g). 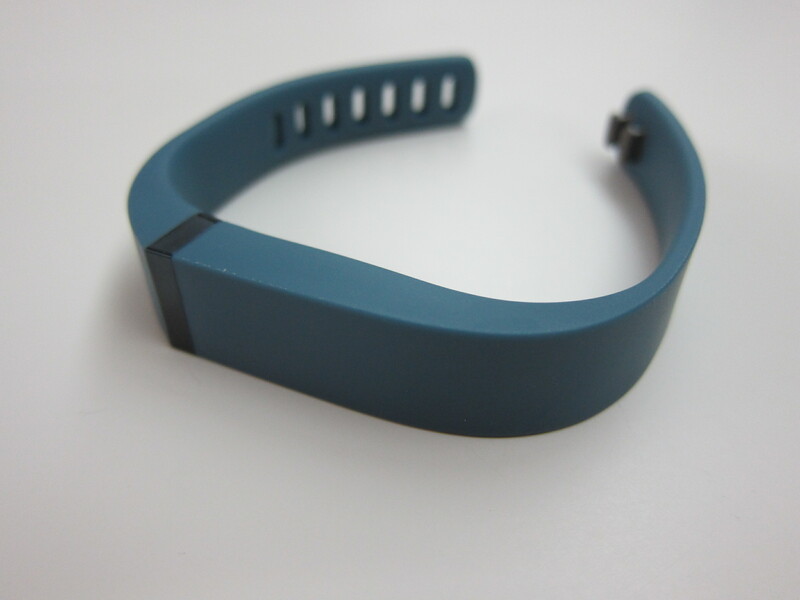 Because it is lightweight and less bulky when compared to the rest, it is extremely comfortable to wear it to sleep. 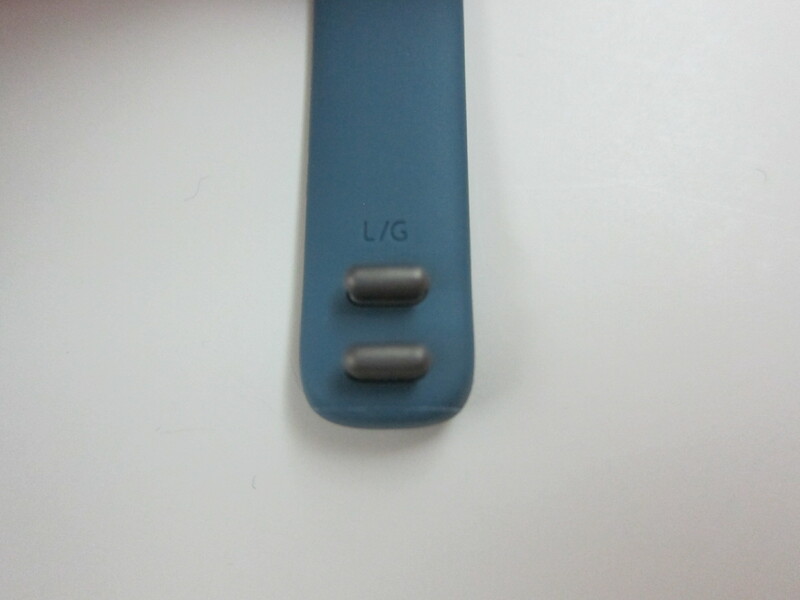 I tried wearing the Jawbone UP to sleep but it is just too uncomfortable for me because of the weight and the design of the wristband and hence I only tried it once. 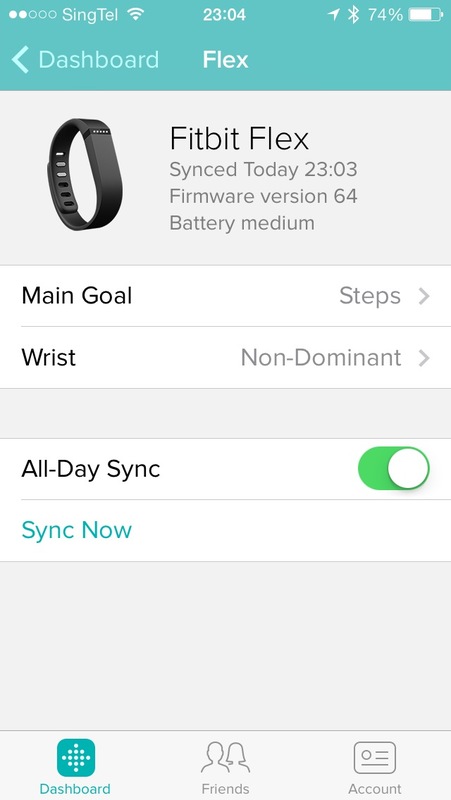 The official battery life on the FitBit Flex is stated as 5 days, but I managed to get 7 days of battery life maybe because I sync it with my iPhone once a day only. 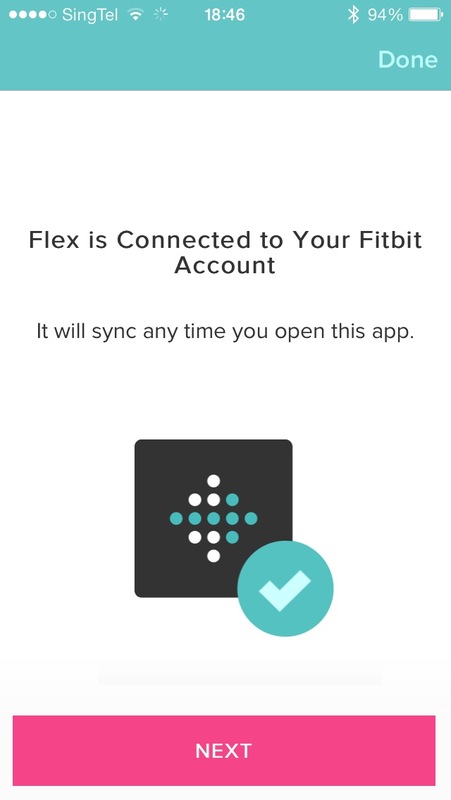 The Fitbit Flex is able to store about 30 days of data on the device itself, so you need to sync it at least once a month. 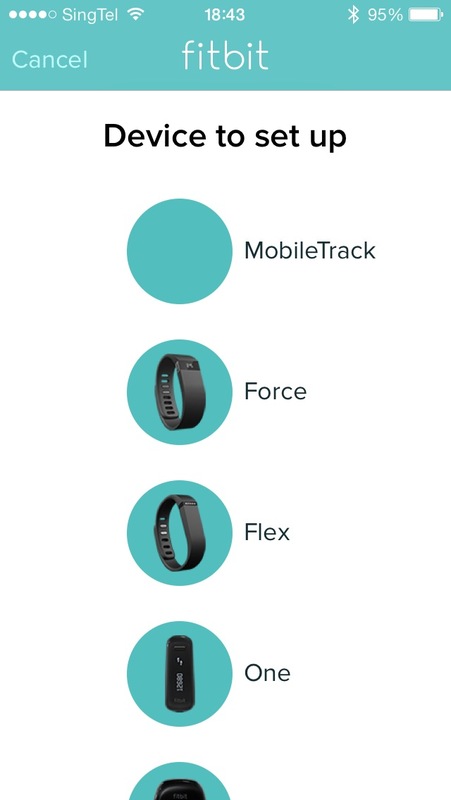 If I have to choose just one fitness band out of Fitbit Flex, Jawbone UP and Nike Fuelband, I would choose the Fitbit Flex! 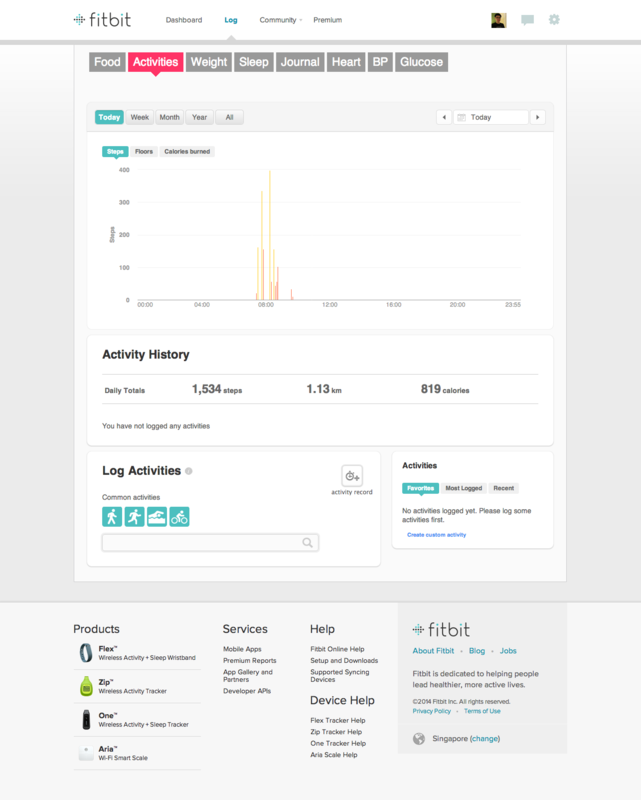 This page is generated on 18th April 2019, 10:44:52 (UTC) in 0.378s with 27 queries using 4.0 MiB of memory.